Inspired by traditional carriages, Phaeton is a modern eco-car with past elements. 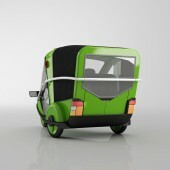 Electric vehicle design aims to respond the need of intercity low speed cars. 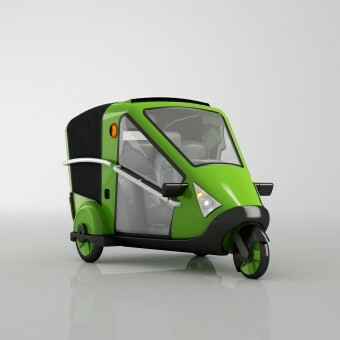 Fitting to the concept of slowed cities, Phaeton eco-vehicle can be classified in an intermediate layer between automobiles and non-motorized vehicles. 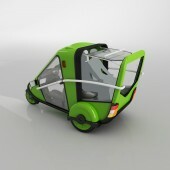 Designed in accordance with international vehicle norms defined as under 250 kilograms and 40 km/h speed, Phaeton is a lightweight, low cost and safe eco-car that fits to urban environments. It is especially suitable for low speed areas such as inner-city alleys, historical or touristic areas and university campuses. 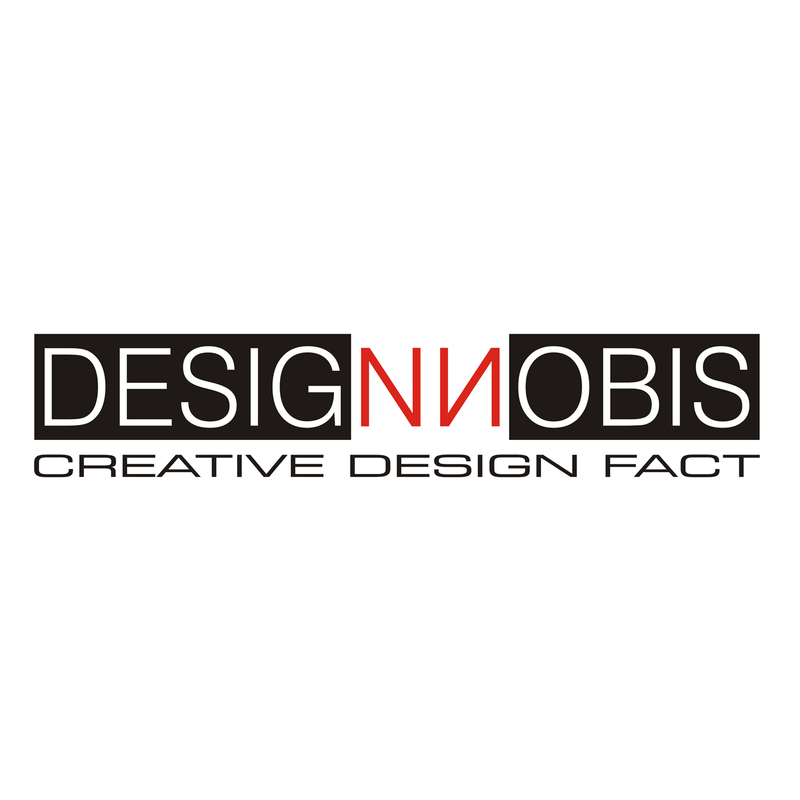 Referring to phaeton carriages, visual design language of Phaeton combines traditional elements with modern forms. Using clean energy, design can easily turn into a city icon. Developed for usage in slowed cities and areas that are cleared of vehicles, Phaeton eases transportation and circulation with its flexible design that adapts to changing weather conditions. Alongside carrying passengers, it also has a commercial version for local load transfers. Two passengers are seated backwards for an optimum vista and a convenient mounting and riding experience, while luggage loading is also eased. Collapsible hood allows a panoramic view for tourist passengers with a transparent roof. Produced from glass reinforced plastics in stiff parts and polycarbonate in transparent parts, it a durable yet lightweight design that fits multipurpose uses. Aluminum alloy chassis frame ensures safety. Design is optimized for lowest production, running and maintenance costs while having an upper level comfort, safety and efficiency. 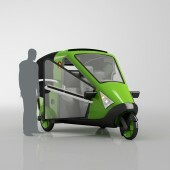 Phaeton Electric Vehicle by Hakan Gürsu is a Nominee in Vehicle, Mobility and Transportation Design Category. 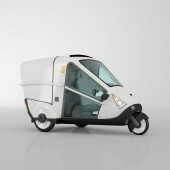 Phaeton Electric Vehicle by Hakan Gürsu is Winner in Vehicle, Mobility and Transportation Design Category, 2011 - 2012. Did you like Hakan Gürsu's Vehicle Design? Did you like Phaeton Electric Vehicle? Help us create a global awareness for good vehicle design worldwide. Show your support for Hakan Gürsu, the creator of great vehicle design by gifting them a nomination ticket so that we could promote more of their great vehicle designs.